We all have pet peeves. 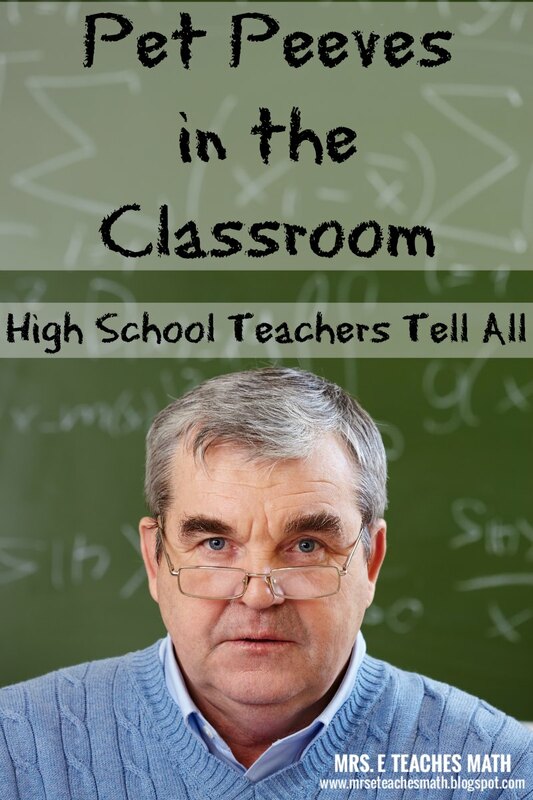 Every teacher has things that drive them NUTS in their classroom. It always drives me nuts when students take f-o-r-e-v-e-r getting their supplies ready for class. I can usually deal with other things, but get your pencil and notebook out and let’s go! For your entertainment, I asked other teachers about their pet peeves. Check them out. What is your biggest pet peeve in the classroom? I teach high school students and for my freshmen I have a "twice per week" bathroom rule otherwise it just gets out of hand. 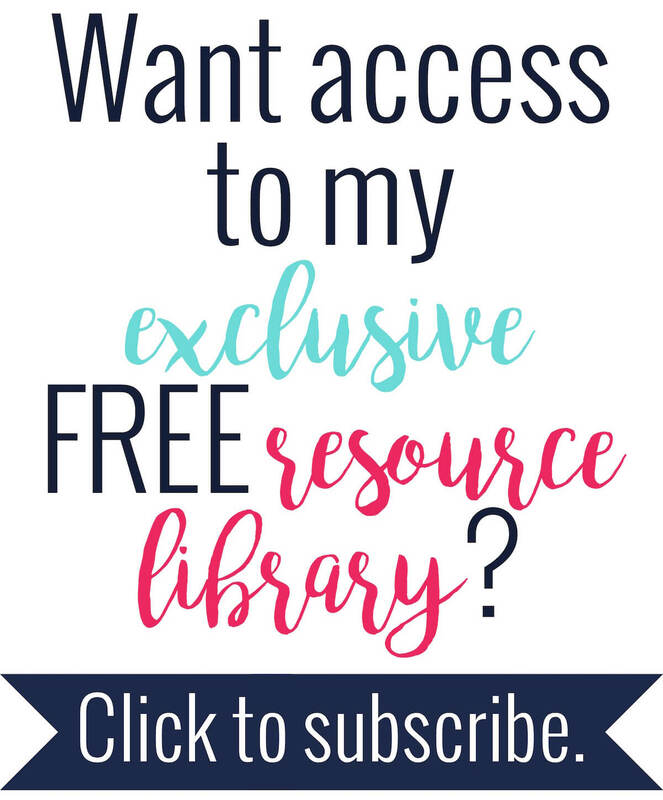 I have been pregnant twice and it would drive me NUTS when I was 7 or 8 months pregnant and they would come to me for the third time that week asking to go to the bathroom; I would say "no" and they would say "It's an emergency, I can't hold it". I would simply tell them "no, go sit down", but what I was thinking was.......Really?! It's an emergency?! I have a baby sitting on my bladder and I make it through each of my 82 minute long classes without leaving for a bathroom break! Go sit down! Students who show up to class without their books, homework, etc.!!!! It drives me up the walls! My number one pet peeve is the drumming with their hands or pencils! I tell them all the time I'm not the band teacher! My second is being disrespectful! I show my students the utmost respect and except it back! 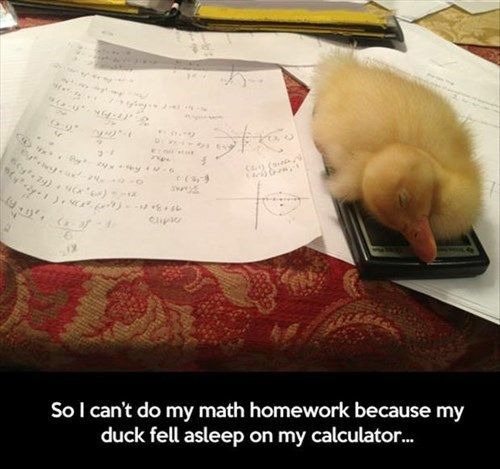 "How do I get an A?" This is by far my least favorite question. It represents all that is wrong with education. I would love to see my students want to learn for learning's sake. And I feel like I spend each year trying to show them the joy of learning and that life isn't about grades. If I had my way, I wouldn't give grades at all. Oh, and my favorite response to that question is "What do you think you need to do?" The excuses from students. I don't need a story or an explanation for why you are late or why your assignment wasn't done. Unless it was life-shattering, just say you are late or have incomplete homework and move on. Students asking to go to the restroom when you know they are only wanting to socialize. I've implemented a system where students get 4 restroom passes per quarter. If they don't use them, the passes are worth extra credit. It has worked wonders! One of my biggest pet peeves is my students trying to google the worksheets to find answer keys. I already make a majority of my assignments but now I have to do everything because the kids will rather cheat than simply do the work. Even when I do create my own lessons I have to be careful they can be completed within the class period. Some students take pictures and post to snap-chat or Instagram. I will be implementing a policy for students to turn their phones in at the beginning of class. We do have district issued laptops for the students as well but I am hoping removing the cell phones will make things easier. The plus side of this is that I am becoming more creative and now I write multiple lessons for a task so there is more variety. More variety means less cheating. For me, it's asking how to complete an assignment after it has already been discussed multiple times. 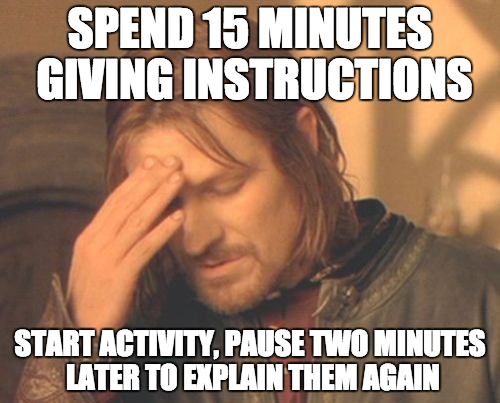 As a middle school teacher, I thought that students would be able to handle simple directions and follow them, even after I've gone over them several times and asked if anyone needed clarification. Unfortunately, there's always a few who ask "how do we do this?" It's my BIGGEST pet peeve. ...students who have field trips, meetings with coaches, and errands for student government, all of which must be done during class time. I support all of these extracurricular activities--these are the memories students will keep--but if you miss a high school math class, you'll fall behind. 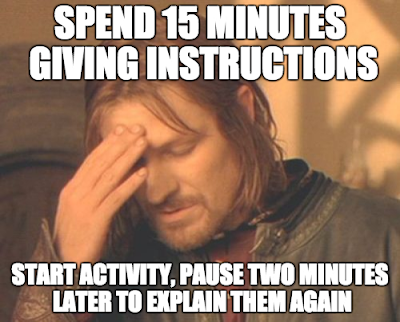 I just can't teach a 90-minute lesson to a student after school in 15 or 20 minutes. What drives me nuts the most? Students drumming pencils! Seriously, I don't teach band, I teach math and unless you can relate the drumming of your pencil to an arithmetic sequence then STOP! Students who leave their mess behind! I'm not their mother and if I were, I still wouldn't clean up after them! A classroom pet peeve of mine is when students randomly ask to go to the bathroom right in the middle of the lesson. It's important to establish your routines at the beginning of the year, so that students are aware of the procedures for this (and any other situation that may arise, for that matter). I started using "Potty Passes" that I got from the great "I'm Lovin Lit." Students get 5 potty passes each quarter. If they have any left over at the end of the quarter, they can get prizes (candy, bonus points, etc.). This GREATLY decreased the amount of times my students were asking to go to the bathroom. 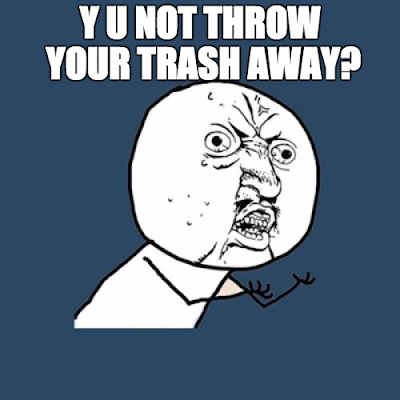 One of my biggest pet peeves is my sophomores not throwing their garbage away. After spending the first semester cleaning up after them each period (broken pencils, crumbled paper, pop tart wrappers, empty water bottles, etc) I had had it. I had a very stubborn 5th period and the usual tactics did not work: continually going over my expectations, discussing the concept of responsibility, emphasizing respect for the janitors, etc. Watching tv one night I had a light bulb moment and figured out a way for them to do the cleaning. For the last 3 minutes of class, every student picked up the piece of garbage closest to them, I positioned 3 garbage cans throughout the room, and from the spot where they picked up the trash they had one chance to "make a basket." If they missed they had go put it in the can by hand. During second semester I lost the last 3 minutes of my 5th period, but I also had my clean classroom back! 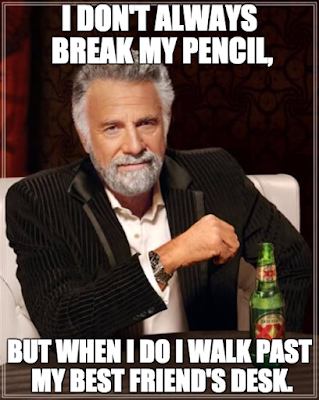 When a students' pencil "breaks" an excessive number of times and they HAVE to walk past their best friend to get to the pencil sharpener. Yes! I can relate to all of these. Glad to know I'm not alone. Tyra, you are definitely not alone! My pet peeve is parents texting the students during class.